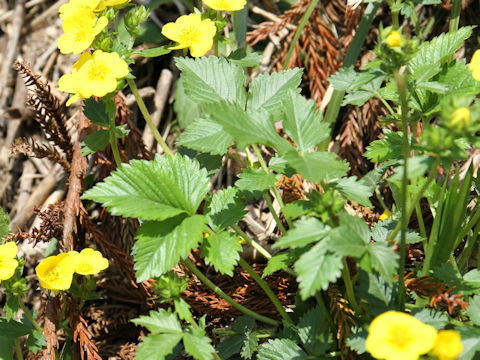 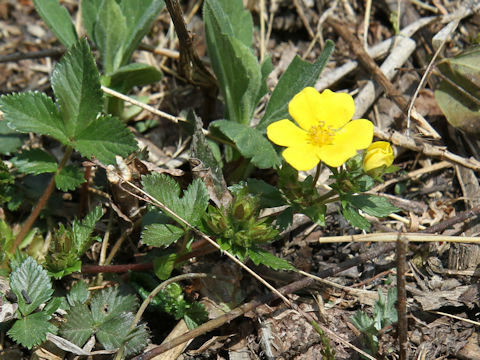 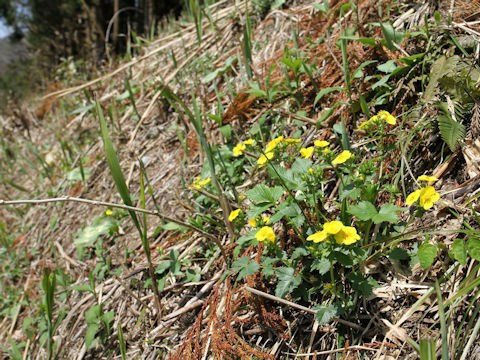 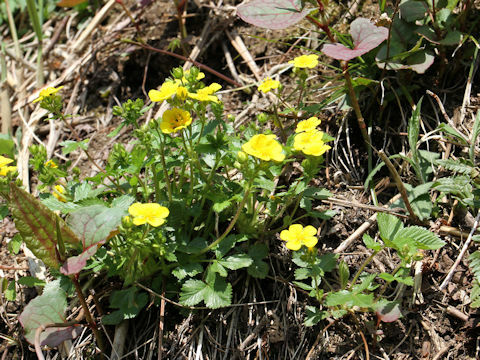 "Echigo-kiji-mushiro" (Potentilla togasii) belongs to the Rosaceae (the Rose family). 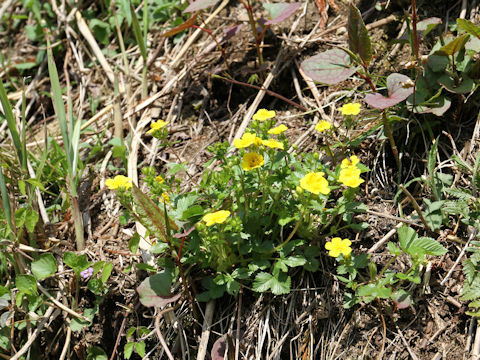 It is a perennial herb that is distributed from Niigata Prefecture of Honshu north to the Japan Sea Side of Honshu, and in the northwest part of the Kanto region. 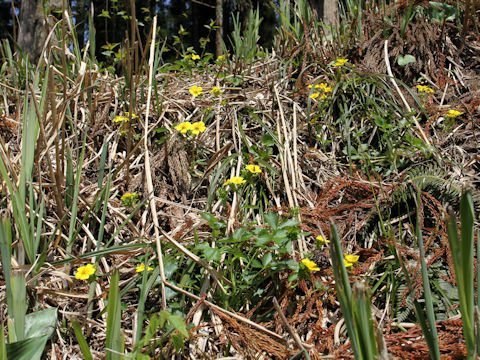 This herb grows on the sunne forest edges and rocky places of mountainous area, and up to a height of 10-30 cm. 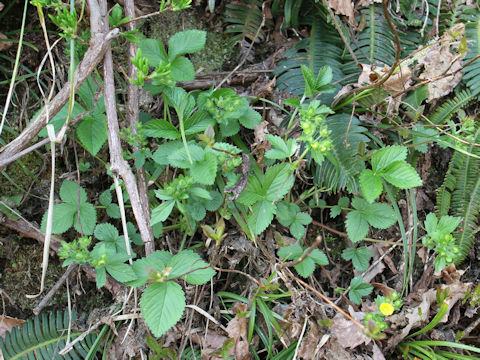 The leaves are basal and impari-pinnate with usually 5 leaflets. 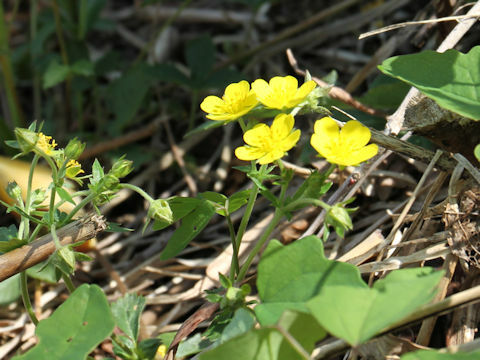 The pair on the bottom is small, sometimes completely disappearing. 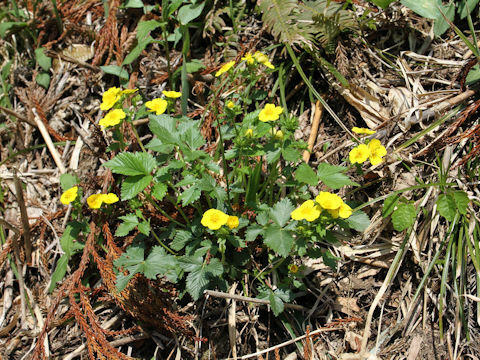 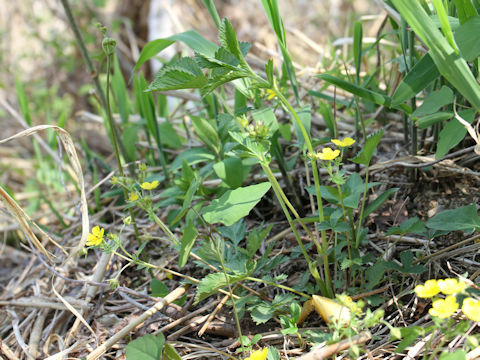 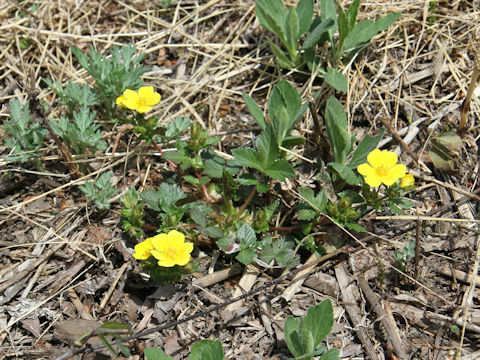 The yellow flowers about 2 cm across will bloom on the flowering stalks from April to June.